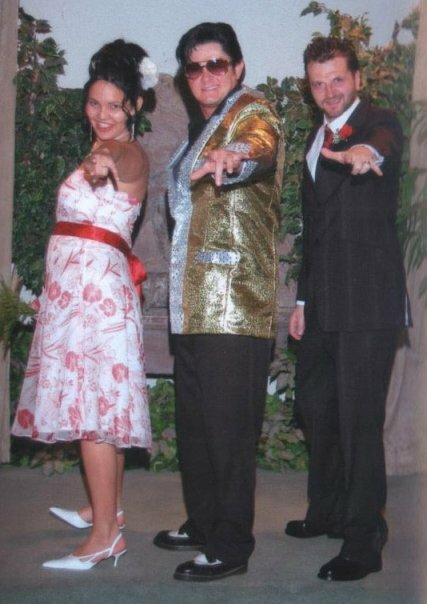 I have been married to my awesome husband Timm for ten years in May 2014, we married in Las Vegas with Elvis in gold lame, an amazing experience that was so fun and just right for us at the time. 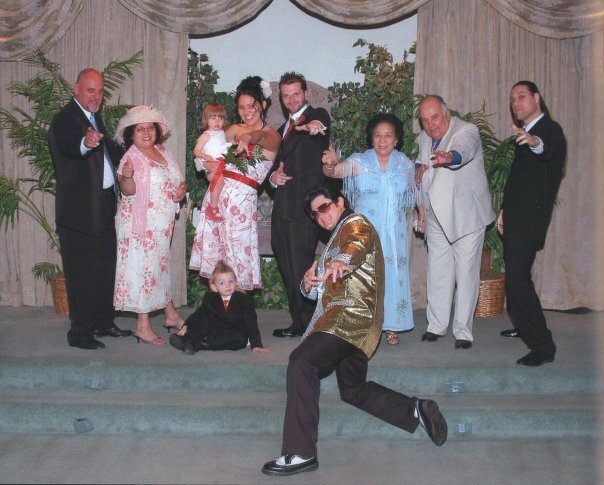 We had two small kids and the pressures of planning a big white wedding got to us and so we packed up and eloped to have the most ridiculous, fantastic wedding we could think of! We had an absolute ball and it was just right for us, but it was marred with sadness that some people who really mattered to us couldn’t make it. So for our tenth wedding anniversary we decided to renew our vows, that is happening this September in a ceremony and reception that we can invite all our nearest and dearest to. I am currently in the midst of planning the whole shebang, I am spending more time than is healthy on pinterest and just trying to plan the perfect wedding for us now, ten years older and wiser. Im looking at beautiful venues, Ive asked my (NINE) bridesmaids if they will be part of our day, we are looking at food and music, themes and Im spending a LOT of time reading Rock n Roll Bride. But Im also feeling worried. Im thinking about how this will be a day where Timm and I are centre of attention and crazy scared about being a bride with an ileostomy bag. I brazen it out most of the time and if you read my blog you know Im not against showing my bag off, it helps me to think Im helping raise awareness when I talk about my experiences with a stoma but sometimes it hits me hard. As I look through hundreds of beautiful wedding dresses I look at the fronts to see if my ileostomy bag would be on show, I think about where waist bands will sit and whether they will cut across my bag, I wonder whether my forced cheer will hold out on me wearing a big white dress. I think about the horrific consequences of a bag leak in a wedding frock!!! I see all this gorgeous, silky, lacy wedding underwear and laugh wryly wondering if they do anything to fit around a stoma, then I get scared that I won’t be a ‘proper’ bride whilst sporting an ileostomy under my gown. I wailed at Timm this morning that Im going to be a bride that smells of poo… He laughed his head off and reminded me that I never smell of poo and gave me a cuddle. Im finding it hard to put into words how I feel about being a bride with a bag, of course I know it doesn’t make a difference, but I can’t help feeling a bit sad that I won’t be a ‘perfect’ bride. Id love to be able to take the stoma off for a day, to have one day where Im not thinking about medical things. I want my bridal handbag to be filled with pretty things and perhaps a drop of dutch courage, not stoma adhesive and barrier creams. I don’t want to have to worry that if I drink champagne that my bag will get gassy and Id rather my wedding night didn’t involve a big plastic bag stuck to my stomach! I sometimes worry that Timm shouldn’t have to deal with all this, that he should have a wife who doesn’t carry bodily waste around with her. And I suppose those feelings are coming to a head whilst planning our renewal. I DO know that all these things are in my head, that in reality Im a super lucky woman who has a husband who loves her. I also know that our wedding renewal is about love. Its a celebration of our relationship, our joy, our devotion to one another. Its nothing to do with being perfect, anyone who has been together fifteen years knows their partner isn’t perfect, because we are all deliciously and uniquely flawed, its what makes us who we are. And thats why Im marrying him. Again. 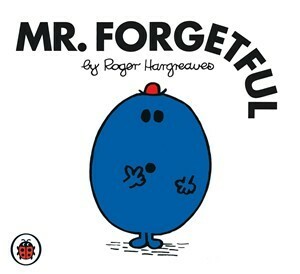 I can often be forgetful. I once found our house phone in the vegetable drawer of the fridge but today I did some good forgetting. Then all of a sudden I remembered about my bag. For the first time in almost 8 weeks I had forgotten all about it, I hadn’t thought about it once since I had changed it in the morning! I know this may not sound like much but when you spend so much time thinking about it, cleaning, changing, worrying about leaks, feeling it to see if its full and needs emptying, worrying if others can see it, or even worse smell it, the realisation that it hadn’t crossed my mind for a few hours was amazing! I have changed bags and Im using Dansac Nova 1 EasiFold Convex (Ref 841-25) and it is amazing, it fits so well and is the only bag that has worked for me. My stoma is quite close to both my belly button and to my scar which makes it very difficult to find a bag that sticks properly to my skin. This bag has a diamond shaped flange that is fabric and so it fits snugly and perfectly around my belly button. The leaks from the other bags were really affecting my confidence and self esteem as well as my sleep! So to finally have a bag that works is life changing. If you had told me a few weeks ago that I would go out for the day and actually forget that I had a stoma and bag, I would have laughed in your face. Im just so glad that within two months I am able to start having something of a normal life back, that it is so much easier now and that I have my confidence back! http://www.sobadass.me/wp-content/uploads/2015/09/sobadasslogo.png 0 0 sam http://www.sobadass.me/wp-content/uploads/2015/09/sobadasslogo.png sam2013-10-27 16:28:462013-10-27 16:28:46I forgot about my bag!